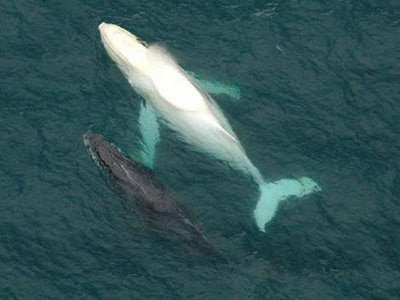 Migaloo is on the move, and you better keep back! 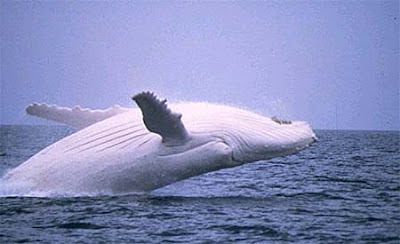 Isn't Migaloo absolutely gorgeous? Cryptomundo has more. Awwww. 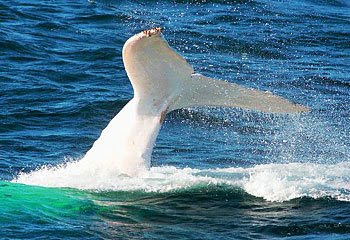 Can you buy a whale a present? If so I think we should.